It’s been years since twelve-year-old Aramar Thorne, a clever boy who is never without his precious sketch book, has seen his father. So when Captain Greydon Thorne comes ashore and asks his son to join him at sea, it feels as if someone has redrawn Aram’s entire world. 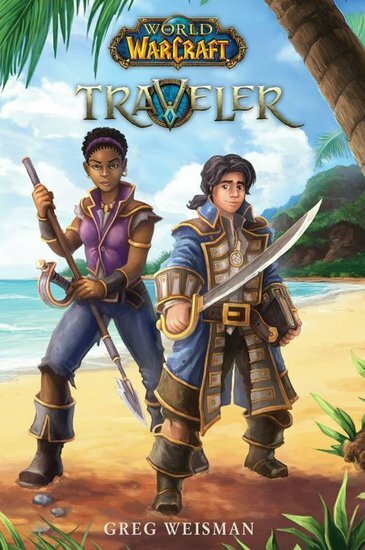 At sea, Aram struggles to get along with the Wavestider’s crew-especially second mate Makasa, a tough teenaged girl who has been reluctantly placed in charge of him. Just as Aram starts to get his head above water, a band of vicious pirates attack the Wavestrider, turning his world upside down once again. As Aram and Makasa try to find their way home, they encounter creatures both terrible and wondrous, and Aram will seek to understand Azeroth’s denizens as he draws them in his sketchbook, forming unlikely friendships along the way. But the journey is hindered by Greydon’s compass, which never points north. If the compass isn’t leading Aram and Makasa home-to safety—to what destiny is it leading?